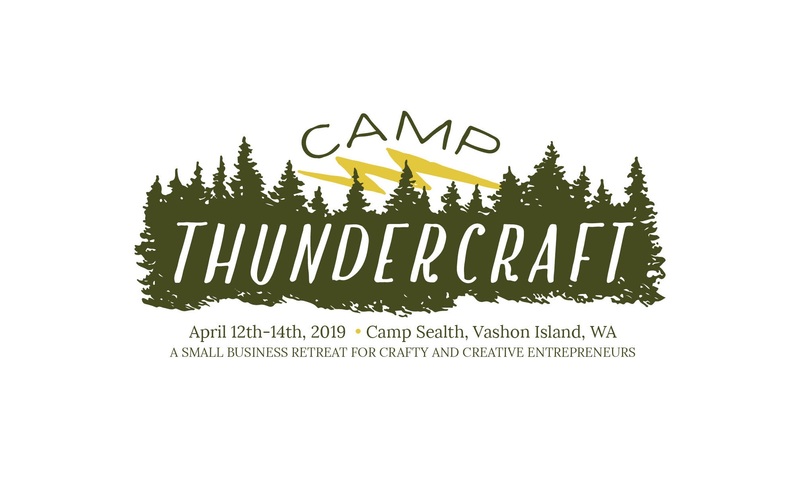 Register today for Camp ThunderCraft 2019! [The most valuable thing I learned ] was that I share the same fears, anxieties and struggles as everyone else. Being around others who are in the same boat gave me a boost of confidence and the drive to keep going. I feel really motivated to get into my studio today, after months of going through a period of struggling with why I’m doing this. Feels like I have my focus back. I had an amazing time! Attending Thundercraft has changed things for me both personally and in business over the last year. This year was even better than last, I learned a lot and met some awesome new people! A year ago I attended my first Thundercraft, I entered a cabin with three other women that I didn’t know and we became instant friends. We now meet up monthly and text and chat daily. Not only have I made friends because of it, I’ve pushed through several blocks I’ve had with my business, including pursuing wholesale and making decisions on branding and new product designs. One of the items I came to get feedback on last year, has become my top seller. I came back to camp with new roadblocks and ideas waiting in the wings that just need a little extra push to come to life, hopefully the magic of Camp will prevail once again! This morning I’ve worked down half a dozen items on my to do list, hoping by the time my postcard reaches me in November, I’ll have accomplished or at least started on the pathway to accomplishing my next big goals. Dream big peeps! And, thank you to Kristen & Lindsey for putting on this amazing event! Loved this weekend! So rich, so beneficial. Loved the camp. Loved the thunder! 🌩⛈🌦Best value EVER in my 19 years in business. So, Thank You for creating the totally affordable, super dynamic, creative business conference weekend EVER. And thank you for the courageous session on “political/personal”. I met amazing women doing amazing things at each moment. Thank you. Thank you. Thank you. I truly am grateful that this camp was started and that I got to be there for its first year. I can’t even tell you how much I loved being around people who have made their work and their life their art, for so long I have been told that you need to go to college and get a job to live a successful happy life. But this camp and the people there taught me to do what I wanted, do what makes me happy. To not question who I am and to not question if I am an artist or not. This camp has totally changed my perspective on who I am as artist, and has totally cleared my path for what I want to do in the future, when it seemed so blurry. Thank you so much you guys! It was definitely an experience I will always cherish and never forget. The networking was amazing at camp. I am so appreciative of all of the people I met. The most valuable thing I learned was to keep going, keep pushing through, and that I’m not alone in my struggles with my business. Every problem I’ve had, someone else has had and has been able to get through. I learned that anyone or can be an artist, and you don’t have to do in life what people tell you. You can live as creative or as colorful a life as you choose for yourself. You can be whatever kind of person or artist you want to be, you don’t have to sit at a desk and make phone calls to have a job, you can host comic book events, art shows. Life is yours to be as little or as much creative as you want. I think the most valuable thing for me was the networking and connecting with other people in my industry. 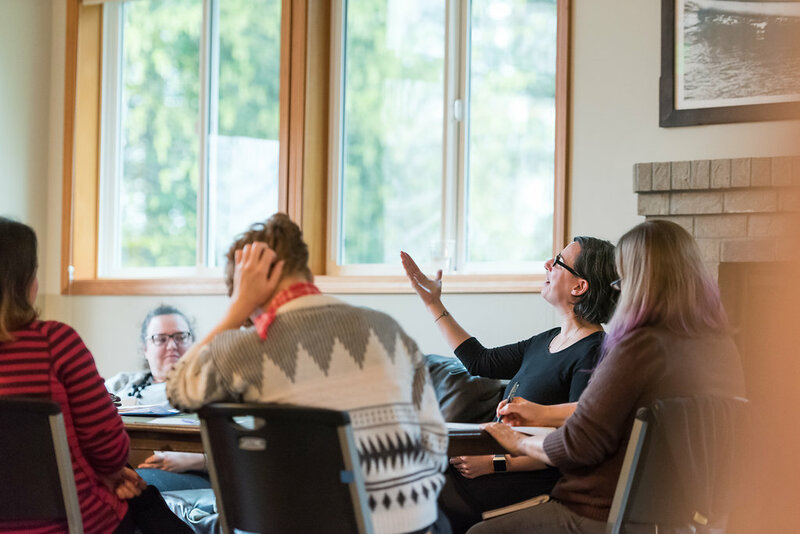 I went in with hopes of learning a ton from the workshops…and while some of them were good, I learned a ton just from talking and connecting with other people. The cabin rooms sleep between 3-5 people each, so please be aware that you will be sharing a room with others. It’s camp, get cozy! Please provide a short bio of yourself as the business owner. Please provide a 1-paragraph "elevator pitch" about your business. What do you find is the biggest obstacle in owning or managing your own business? We'll be using these answers to plan an activity the first night of camp! What is an area of your business in which you excel or feel like you have a knack for? Please let us know about any dietary restrictions you have. Let us know if any of the following apply to you. We'll take this into account when assigning rooms (all participants will be sharing a room with at least 2 other people). If necessary, are you at all open to sleeping on the top bunk of a bunk bed? If you have anyone specific you'd prefer to share a room with, let us know here! Do you have a gift certificate to redeem? If so, please check the box below, and skip the payment screen on the next page. Otherwise leave this part blank. Thanks! 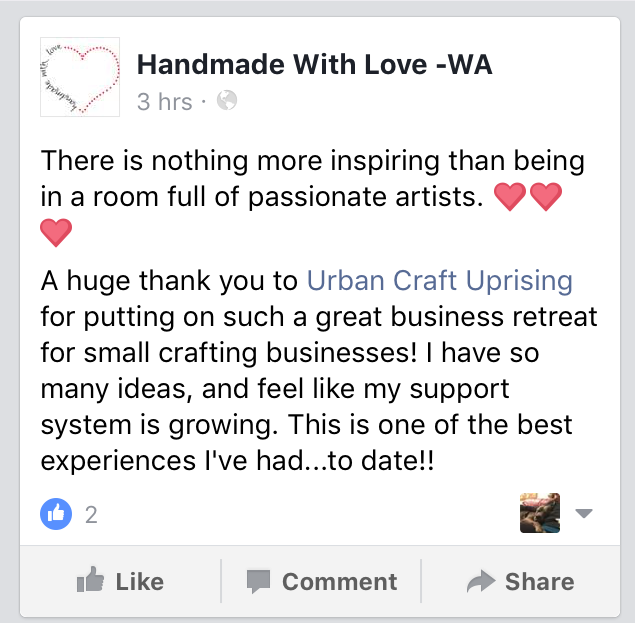 Camp ThunderCraft is brought to you by Urban Craft Uprising, Seattle’s Largest Indie Craft Show. For more information about the other shows and events we run throughout the year, please visit us here.